After I dropped Peyote off the stands and discovered a bevy of new problems the air kind of came out of my sails. Tony Garmey and Horizon Racing to the rescue. I asked Tony if he’d be willing to “finish up” Peyote, which has to be the worst thing you can ever ask a talented fabricator and mechanic like Tony. When I was a motorcycle mechanic my nightmare was the guy who rebuilt his motorcycle but now wanted me to “finish up” by doing little things like getting it to start. Who knows what crappy work lies inside? How could a guy who can rebuild his engine not be able to time it? And if you touch that little tar baby and something goes wrong, guess who is now responsible for making it right? To my surprise, Tony was willing to do it. 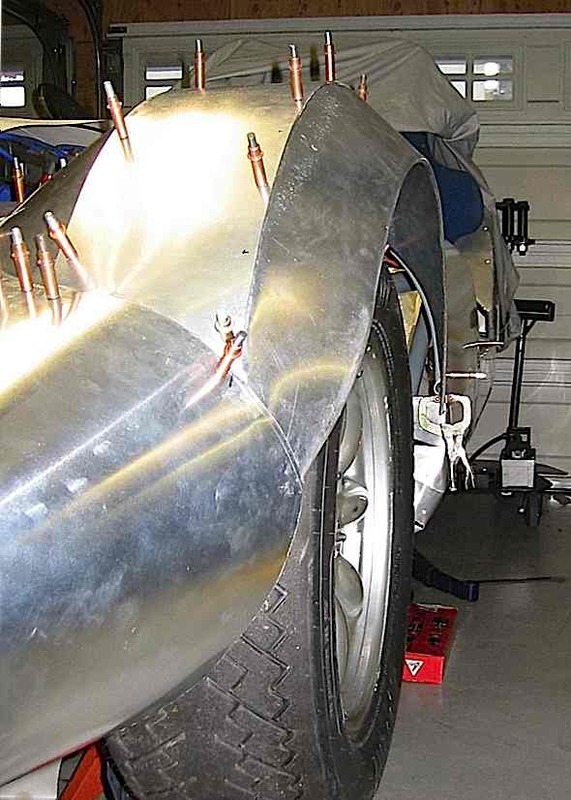 So Peyote is at Horizon Racing, getting it’s rear suspension sorted out, the extreme camber in the front right corner fixed (hey, it hit the wall dummy, didn’t you think the upright might be bent? ), and the very ugly fenders I made replaced. As any of you alert readers recall, I was nervous about making the fenders. With good reason: they looked stupid. If you need work done on your race car, you can’t go wrong talking to Tony. He does everything right. There’s a good reason SOVREN just voted him Mechanic of the Year. 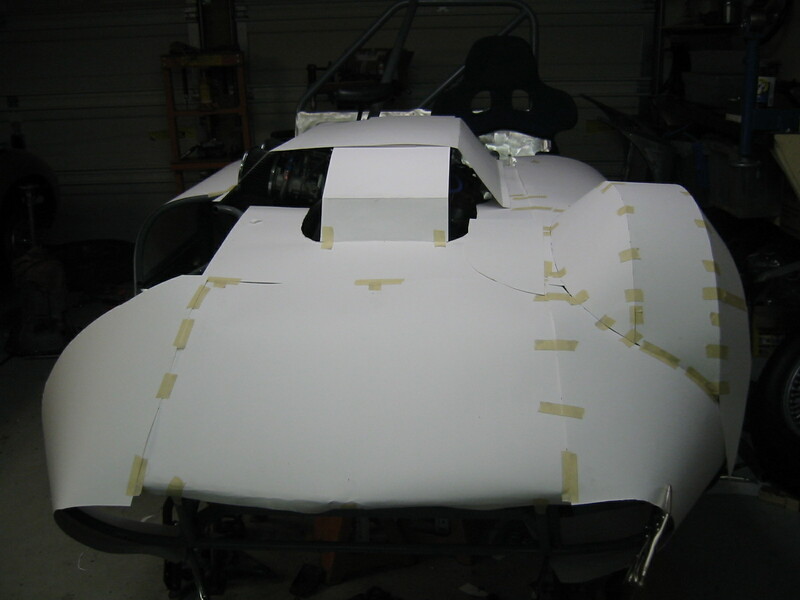 Here’s a couple of pictures of the nose Tony has mocked up in carboard. Looks wonderful. He’s even willing to do what he can to save the original tin. 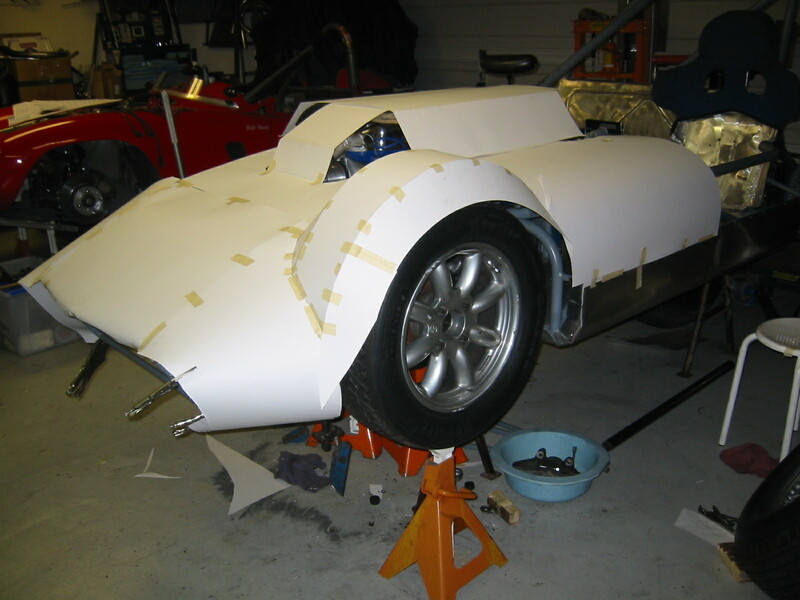 >>Update<< Peyote is coming along nicely at Tony's shop. I haven't been up to visit the ailing patient, but Tony sent some pictures. Pretty cool looking. A bit too pretty for Peyote, though this is exactly what I was aiming for when I made those ugly fenders.